(These books go in the “Juvenile” section of your local library. I typically read the ones for upper elementary aged folks. I was born in the gutter and grew up in poverty, abandoned by my parents, stealing and begging in order to survive. Wait, wait. I know what you are thinking. A book with a first person canine narrator = cheesy, ridiculous, why-the-heck-would-I-read-that? Believe you me: this book is clever enough to make you forgive. Keeper is a stray dog, born in an alleyway, abandoned by his mother, and separated from his brother and sister. But he’s an austere kind of stray, keeping his dignity and always reminding the reader of his tastes for fine food. He even writes poetry to capture his life’s most essential moments. And his life is full of the adventure that every child hopes their pet would have had before being adopted into a loving family. Keeper lives with an alcoholic homeless man, gets into dog fights, and even takes a stab at doggie modeling. Okay, you got me. This book is pretty silly. 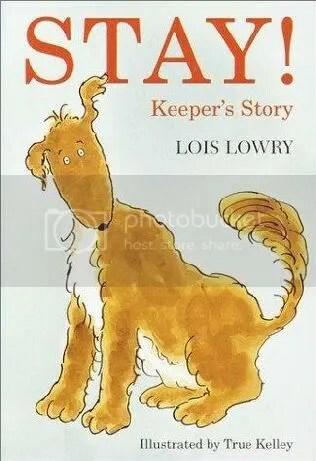 But Lowry gives Keeper this exceedingly verbose, faux-Dickensian voice that kept me on my toes as a reader, kept me smiling and flipping the pages. 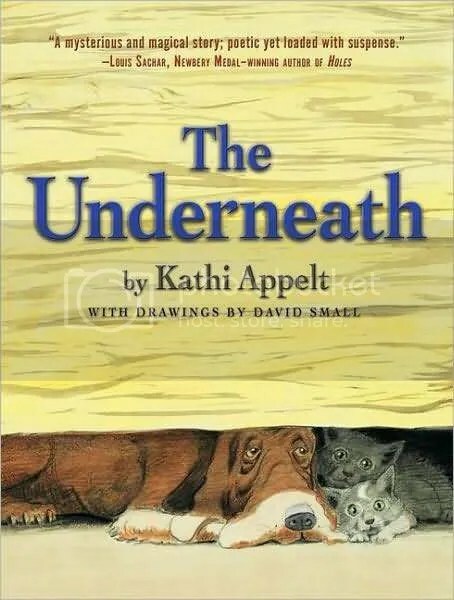 This book may have slipped under the radar, but I think it could find a home with an animal loving child and a parent to read along. His coming into the classroom that morning was the only new thing. This is a strange year for me to be coming up with lists of favorite books, since I have read so many of these books from a syllabus, a strange, manufactured way of reading. I did read every book Jacqueline Woodson has written, in pretty much the same order in which they were written. And I liked most of them. Woodson is a good storyteller. 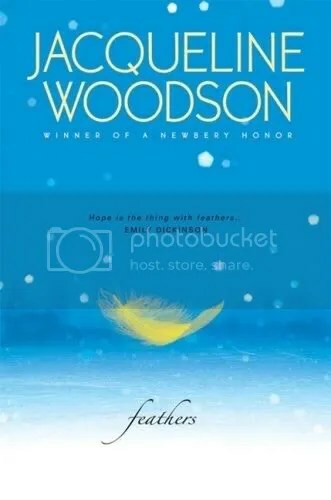 But after about a dozen book came Feathers, and as I read, holding the gorgeously packaged book in my hands, I thought that this book was the first Woodson book that would have caught my attention outside of class. That this book was not just a good story, but a good book. A solid reading experience. Frannie is a sixth grader in the 1970s – she and her classmates are black, the white kids go to school across the highway. Until a long haired boy who looks like Jesus walks into her classroom. But this school plot, where Frannie and her friends try to figure out what to do with one who looks so different, is just one of many threads that tie the book together. Frannie and her best friend are wondering about God. Frannie’s family is one of those you want to pull out of the pages and hug – her parents loving but suffering from miscarriages, her older brother confident and capable but deaf and wanting to experience life more fully. Frannie is a thoughtful narrator to the stories that surround her, and through these stories she grows and finds her own definition of hope. Oh, this one just gave me a nice warm, fuzzy feeling, you know? Again with the Ambitious January books. This was one of the first books I read in 2009 and I still remember it as poetic, enjoyable, and thought-provoking. And yes, it’s another book with animal narrators. I will let my previous review speak for itself, but rest assured that this book is more than a cutesy adventure about kittens trying to survive in the wild. There is mythology, folklore, powerful nature and strong examination of the faults of humans. Your 8-year-old will like it, but you will like it more. When Jamie saw him throw the baby, saw Van throw the little baby, when Jamie saw Van throw his little sister, Nin, then they moved. Spare, delicate prose. A tone that feels like dirty white snow, faded gray-blue skies. This is not a book for the faint of heart – the story begins when Jamie sees his baby sister almost killed by his mother’s boyfriend. The tenuous family leaves, moving in with a friend of the family, and young Jamie is left grasping at the remaining threads of safety, comfort, and home. I read this book for class months ago, but picked it up again to write a paper. 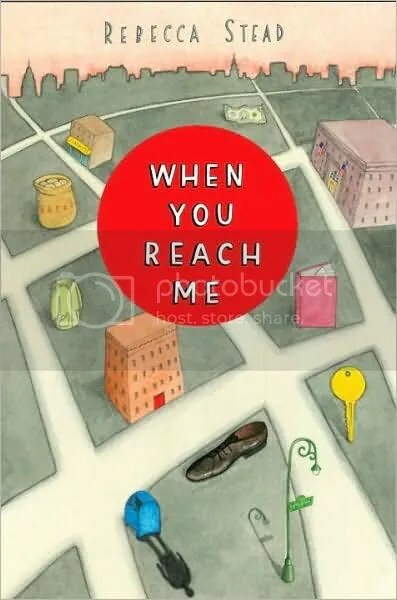 With the first read, I thought, “Wow, what a painful story.” The second read, I was in awe of Coman’s skill, to tell such a terrible story through the mentality of a young child. An quick read, but intense, to realize that this is life for too many children in the world. This was my first post-syllabus choice. It’s getting a little hype in the children’s lit world. Actually, I’m sitting in a classroom right now, waiting for a professor of mine to begin a presentation on the best youth books of the year, and I’ve spotted this cover on the table, ready to be lauded. Really, an ideal read. Interesting premise, but not TOO interesting, of course. Likeable characters. Well-developed relationships. That hint of weirdness lurking under the text. A gorgeous little book.